Soo, I totally didn't get my baby's birth announcement up here and thought it was time. She just turned 6 weeks old today and we are totally in love with her. 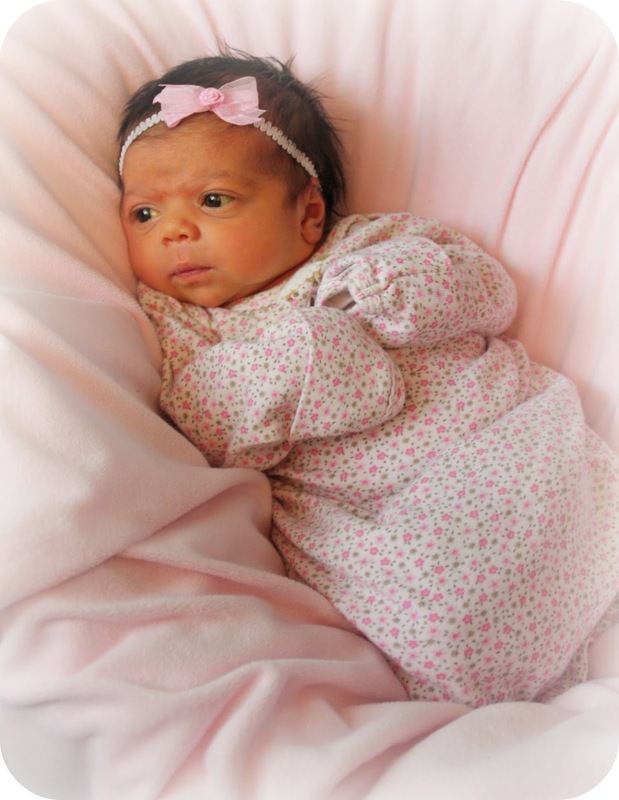 She was born on July 24th and weighed in at 7 pounds and 14 ounces. She is such a good baby for me and the lack of posting is most likely because I have been snuggling and getting to know her. :) Our family is doing well and are so grateful for the blessing of another baby in our family. Here's our beautiful Rebekah! Congratulations to your family on your beautiful blessing! I would give this to one of my grandchildren.